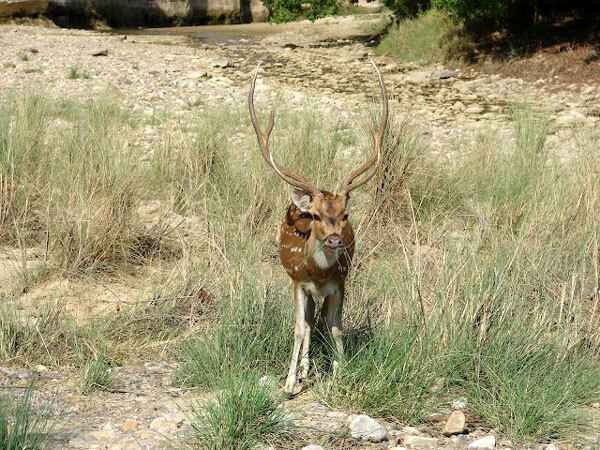 Jhirna: Located 16 kilometres away from Ramnagar, Jhirna is the most watchable zone in Corbett, surrounded with mesmerising lush green jungle. It is being said that this zone is also endowed with tigers, and tailor made for elephant safari, jeep safari and other kind of trekking. In order to access the Jhirna zone, you need to take up with the permission from the Park authorities, which needs your ID proof and Address. This zone will be greeted with the unique music & very natural one (bird Chirping and Roar of Tigers). Jhirna Safari Zone is the only zone in Corbett that is open for all 12 months. Last but not the least, take a guide with you as it's mandatory. Bijrani: Bijrani sustains lots of herbivores, and has a wide range of Jungle roads that makes an excellent tiger sighting territory. This zone provides an excellent opportunity of Tiger Sighting, and it has the dense vegetation of pure Sal forests and tropical moist and deciduous mixed forests in the valley and plains. Water availability is throughout the year that makes it an exceptional habitat for a strong prey and its predator. Dhikala: Largest and the most varied zone of Corbett National Park is Dhikala, that provides you the best stay opportunities. This zone cotntains the diverse range of habitats, which includes Ghoral, a goat antelope, while the Gharial and Maggars, the great Mahaseer, inhibits the rivers below. Dhikala offers the stay at Forest Rest House in the park if booked in advance. Ramnagar river has been stretched through its middle, emptying into a wide, multiple-necked reservoir. Situated in the Nainital District of Uttarakhand, Jim Corbett National Park is the oldest national park in India that had been established in 1936 as Hailey National Park. After India's Independence, the park was named as Ramganga National Park. Later in 1956, it was renamed as Jim Corbett National Park behind the name of Legend Man-Eater Hunter Jim Corbett. Being the renowned wildlife sanctuary in India, Jim Corbett National Park has been stabilized itself to serve for more than 488 different species of plants and wide variety of wild life animals, which includes Elephant, Tiger, Chital, Sambar, Deer, Nilgai, Gharial, Cobra, Wild Boar, Common Musk Shrew, Fox and around 600 species of birds. Covering around 521 Square Kilometers, Jim Corbett National Park acts as a protected area of critically endangered Bengal Tiger of India. 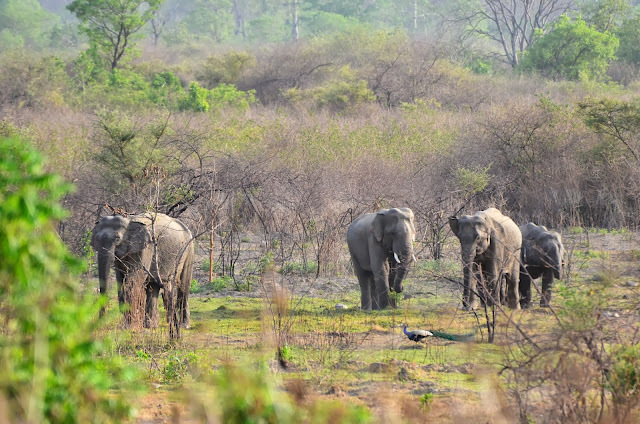 Corbett National Park attracts thousands of Indian and Foreign visitors each year. It is situated in the foothills of Himalayan belt, and has ecological characteristics with splendid landscapes. If you are an adventure seeker, bird watcher, angler and animal lover then Jim Corbett National Park is the best place to make visit to. Corbett National Park Safari Zones: Jhirna, Dhikala, Bijrani. Best Time To Visit to Corbett National Park: Best period to visit to Corbett National Park is between November and June, the period after and before monsoon.